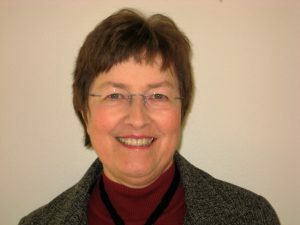 Kathy Richardson, one of the nation’s leading educators of elementary mathematics, is the author and developer of the Assessing Math Concepts series. She has spent over 30 years teaching classroom educators, working with elementary students, writing books, and developing teacher resource materials. Her Developing Number Concepts series is used by teachers and school districts nationwide. Understanding Number Concepts series — this series of stations is a set of 8 tasks that provide students with the meaningful practice necessary for developing an understanding of the underlying structure of numbers, number relationships, and operations. This series focuses on Place Value, Addition and Subtraction, and Decimals. Today she works as Program Director of Math Perspectives Teacher Development Center which she co-founded in Bellingham, Washington in 1998. As Co-Founder and Administrative Director of Math Perspectives, Sheryl Russell oversees all of the day-to-day operations of the company. With her years of organizational and management experience, she works with School and District Administrators to schedule and arrange their professional development plans with Math Perspectives. Math Perspectives’ professional development helps schools and school districts become on-going learning organizations that directly and ultimately benefit students. Our own team of staff members and instructors is made up of a group of life-long learners. Our course instructors are highly qualified teachers with years of classroom and leadership experience. They use our teaching strategies in their own classrooms and are prepared to address the challenges teachers have when making changes to improve mathematics instruction. They have extensive experience in professional development settings in their own school as well as nationwide.